The Four Preliminary Foundations are the essential topics for study, reflection and meditation which open the mind to a deeper understanding of ourselves and our world. 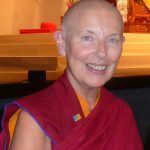 Applying them in daily life is of great benefit and paves the way to highest Mahamudra teachings that form the Buddhist view and ultimately leads to liberation. In part one of this four part course we will explore Precious Human Life: its rarity, fragility and the unique opportunity it provides for us to realise our full potential. Saturday January 28th 2017, 10.30 – 11.30am On the last Saturday of each month, KSDE is offering additional opportunities to attend Pujas, Meditation sessions or other Dharma events. Today’s high pressure society puts us under great stress that can result in imbalance of physical, emotional and mental health. To redress the balance and cultivate peace and wellbeing of mind we need to use the methods of mind. 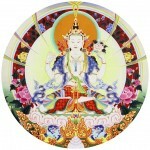 Therefore we practice the profound spiritual techniques of Medicine Buddha. Ani Rinchen will give practice instructions, to those who have taken Refuge, enabling them to do the Puja. 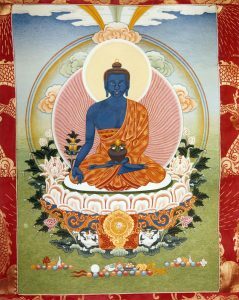 The morning session will be devoted to explanations of the profound meaning of Medicine Buddha practice, followed by instructions on the text, visualisations, mantra, music and offerings. The afternoon session will include a screening of the Medicine Buddha Empowerment given by His Holiness the 17th Karmapa, with translation by Ringu Tulku Rinpoche. 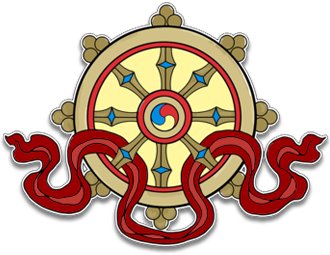 The course will conclude with attendees participating in the Medicine Buddha Puja, dedicated to the health and relief from suffering of all sentient beings. Texts with inserts are available to purchase (£6) Please bring a pencil and red pen for text marking and a notebook if you wish to take notes. 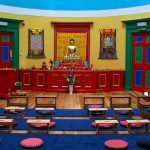 Learn the meaning and importance of offerings in Tibetan Buddhism, while helping to make fresh shrine offerings in the lead up to the Tibetan New Year. Instruction will also be given on how to set up your own shrine at home. In the afternoon session Ani Rinchen teaches the making of shalzes (food offering tormas) for one’s personal shrine. All materials provided. Change is an inevitable fact of life. Nothing stays the same. In this second part of the Four Thoughts or Preliminary Foundations, we will explore the Buddhist view of impermanence and death through study, discussion and meditation. Most importantly we will examine how it relates to our own experience in daily life. With deeper understanding we become more inspired to make the most of our life and use our time well. Attenders are advised to come prepared to take notes. Saturday March 25th 2017, 10.30 – 11.30am On the last Saturday of each month, KSDE is offering additional opportunities to attend Pujas, Meditation sessions or other Dharma events. Sunday April 9th 2017, 10.30am-4.30pmChenrezi is the Lord of compassion, wisdom and loving kindness. In today’s troubled world it is more important than ever to cultivate these qualities in ourselves through the practice of Chenrezi. 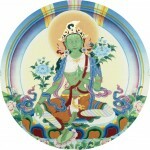 In the morning session Ani Rinchen will explain the meaning, visualizations, text and mantras of this sublime practice. Texts will be available to buy. 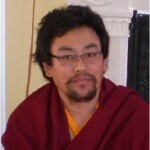 In the afternoon session Tulku Ogyen Nyima will kindly bestow the Chenrezi empowerment and authorization, thus enabling participants to engage in the practice of Chenrezi. 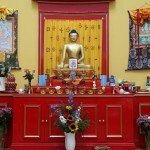 This event is open to all who have taken Refuge in the Buddhist faith. Saturday April 29th, 10.30 – 11.30am On the last Saturday of each month, KSDE is offering additional opportunities to attend Pujas, Meditation sessions or other Dharma events.